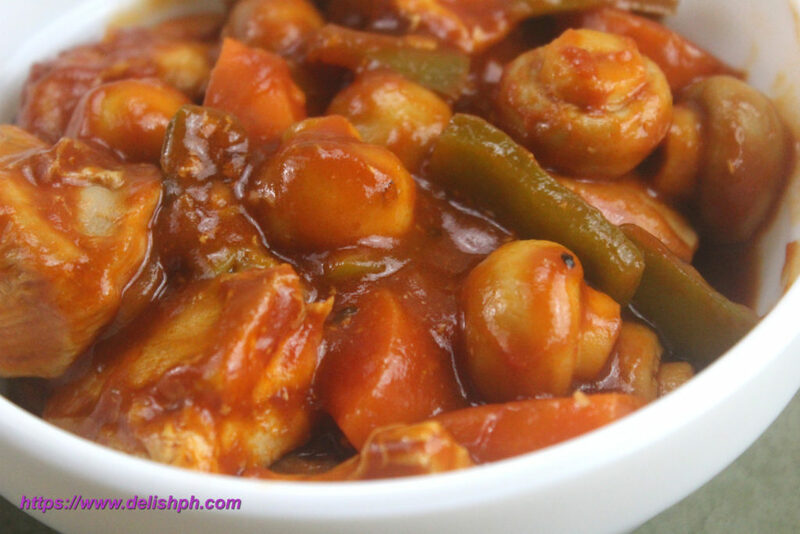 Chicken afritada is one popular chicken recipe that most of us love. This time, let’s make more delicious version, adding some whole mushrooms on it. 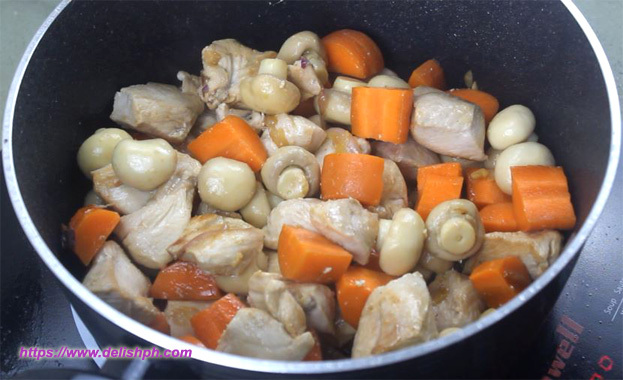 Chicken Afritada with Mushrooms is definitely worth a try and it would only take you a few minutes to prepare. Heat a small amount of oil in a pot. Fry chicken until brown on both sides. Set aside. On the same pot, remove excess oil. Then saute onion, garlic and bay leaves until fragrant. Add back in the chicken. Then add the carrots, Jolly mushrooms and pour some amount of water. Season with salt and pepper. Add in the bell peppers, tomato sauce and tomato paste. Cover and let it cook for about 10 minutes or until chicken is tender. Add some water if sauce becomes too thick. This is one easy recipe that you can prepare at home. Adding Jolly mushrooms will make it even tastier and healthier. If yoy have any question or suggestion about this recipe, drop a comment below or send me an email or direct message us on our Facebook Page.